From Tule Lake down to Joshua Tree, more than two dozen unforgettable California camping locations are maintained by the National Park Service. Honoring both history and the beauty of nature, these sites are custom-made for an RV camping vacation. Come with us as we explore the memorable attractions motorhome campers will find at California’s National Parks. RV Camping California’s Desert Parks Three major National Parks in California showcase the wild beauty of the California desert. Joshua Tree National Park , one hundred forty miles east of Los Angeles, gives visitors the chance to enjoy both mountains and desert in one trip. The RV campsites here are minus hookups, so you’ll need to fill your water tanks in designated areas. But the chance to camp in the middle of such breathtaking beauty makes an RV trip to Joshua Tree NP a must-do for motorhome campers. For the ultimate Mojave Desert experience, turn your RV toward Mojave National Preserve. From volcanic cones to vast sand dunes, visitors will find the images of the Mojave unforgettable. Developed RV campgrounds exist within the park boundaries, so plan to stay in the midst of one of America’s great desert treasures. Iconic Death Valley National Park draws visitors not only to its enormous stretches of desert, but also to its snow-capped mountains and incredible array of wildlife. Fill your vacation photo albums with magnificent shots of Death Valley while camping in one of many developed campgrounds at the Park. Keep in mind the extreme temperatures here; visits in spring and fall will be much more enjoyable. RV Camping California’s Redwood Forests No RV camping trip to California is complete without time spent in its redwood forests. Fortunately, two parks sit side by side in California and showcase not only these redwood forests, but also mountain peaks, awesome caves and classic California chaparrals. Sequoia and Kings Canyon National Parks, east of the San Joaquin Valley, are a non-stop photo opportunity, as well as the perfect place to hike, ride horses or mountain bike. Choose from hundreds of miles of hiking trails, take a Ranger-guided tour, or simply drink in the stillness of early morning in the forest. For the ultimate in California redwood viewing, plan an RV trip to Muir Woods National Monument, a spectacular part of Golden Gate National Recreation Area. Walk among the giant redwoods at Muir Woods, and then take in the astonishing variety of attractions in the Golden Gate NRA. Being able to visit such sites as the Presidio, Alcatraz Islands and the beautiful beaches of the Bay Area all in the same trip make this a top pick among RV campers. Although no RV campgrounds exist within the NRA itself, campgrounds like Marin Park are close to public transportation and within easy driving distance of all the Golden Gate attractions. And we haven’t even mentioned the most venerable of California’s redwood-filled National Parks, Yosemite. The waterfalls, granite slopes and sunlit meadows of Yosemite draw millions of visitors each year. 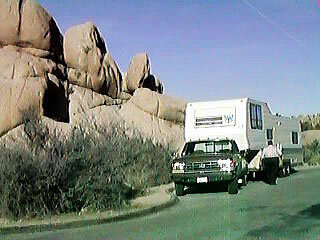 RV campgrounds are available within the Park itself, and nearby parks give motorhome campers plenty of options. Eugene O’Neill National Historic Site: A chance to see where the Nobel Prize winning playwright made his home near Danville. Rosie the Riveter/World War II Homefront National Monument: A wonderful Bay Area attraction where the memories of how America responded to a World War are preserved. Tule Lake Unit: A sad page in American history is remembered at Tule Lake, where Japanese American citizens were incarcerated after the attack on Pearl Harbor. It’s part of the World War II Valor in the Pacific National Monument near the Oregon/California border. California’s National Parks and Historic Sites are worthy of an entire summer of RV camping. But if you don’t have that much time, pick one or two to visit this year. The sights, sounds and memories you’ll encounter at our National Parks will have you wondering how soon you can book another RV trip to California. This article was written by Joe Laing of El Monte RV, your source for RV rentals throughout the United States. 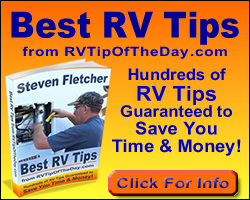 Be sure to check out the Monty's Musing blog for more RV Vacation Ideas and for more California RV vacation ideas see the California RV Rentals .